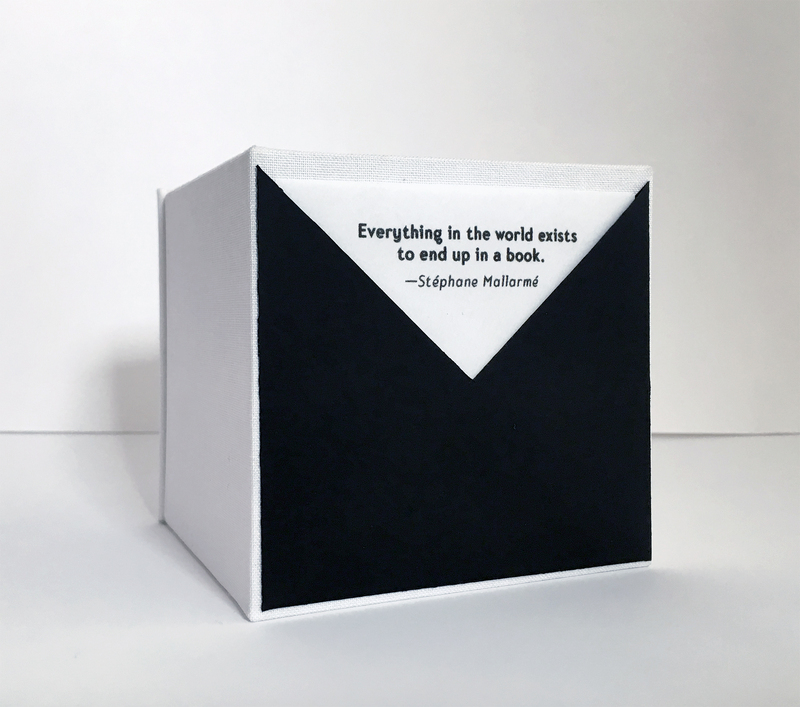 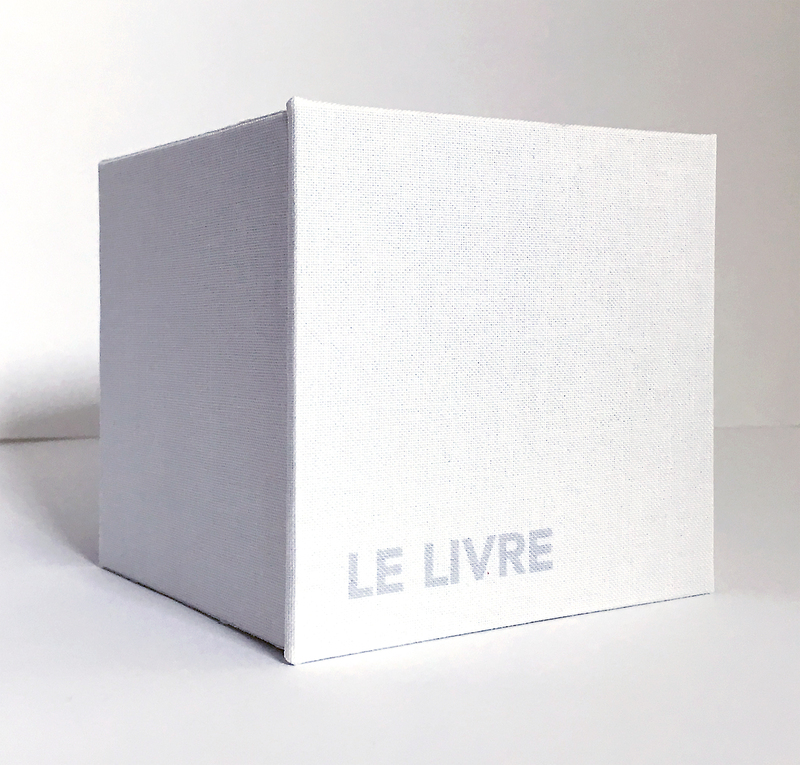 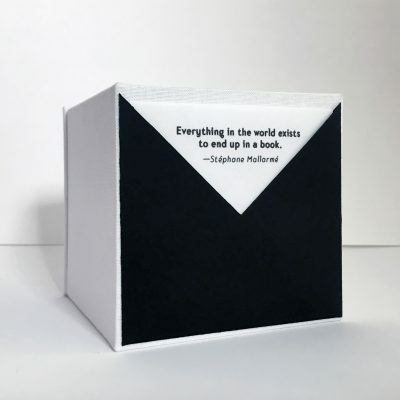 This “book” was made in tribute to Stéphane Mallarmé’s conceived but never completed magnum opus, Le Livre — A three dimensional book object which he envisioned as text-architecture: a collection of fragments, arrangeable in a multitude of combinations to build an infinite number of poems. 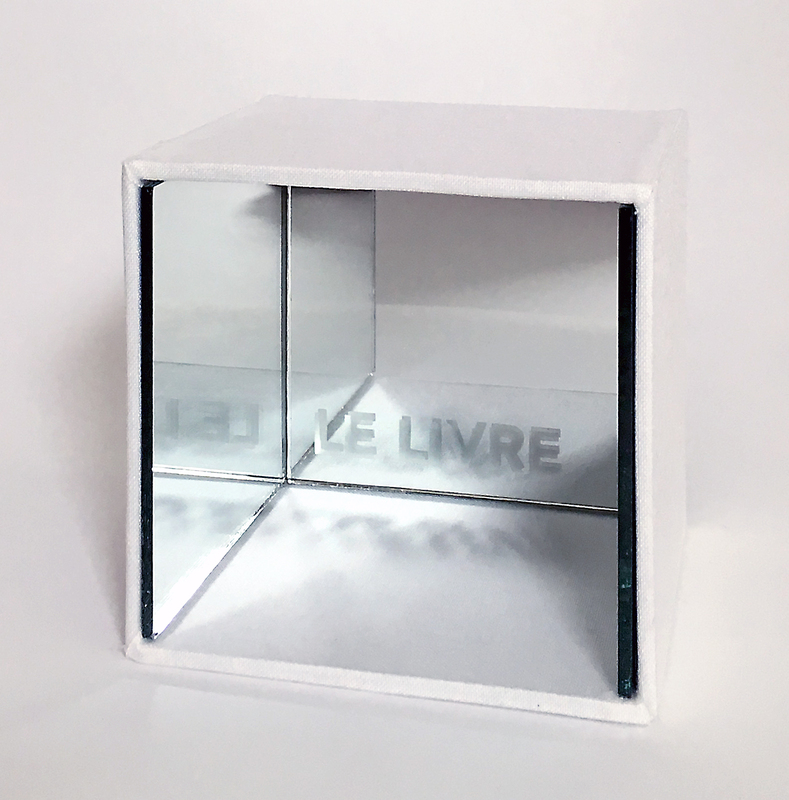 Mallarmé famously said, “Everything in the world exists to end up in a book.” This book object uses mirrors to allow virtually anything to exist within it. 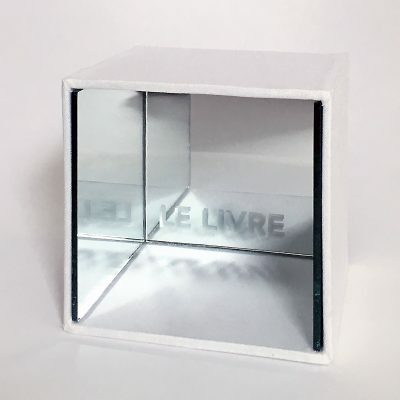 The angles of the mirrors are arranged to create poetic rhythm within the cuboid structure through fragmented, repeating, and reflecting imagery.